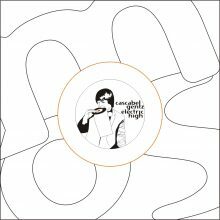 Cascabel Gentz is an ambitious side project of two producers who are always on the run – Los Angeles resident [a]pendics.shuffle and Dilo from Buenos Aires. Since 2009 they get together in the studio and create an individual mix of House, Techno and Minimal spiced with their own vocals and guitar riffs. This very personal and organic mood reflects on the new record “Electric High”. The original tracks are complemented by an excessive remix collection. Gurtz, Alejandro Mosso, Jon McMillion and Jonas Kopp play their part to make this EP a prime example for todays music culture network.